The POST is the monthly newsletter. 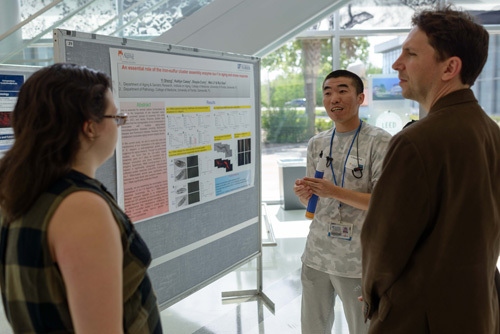 Yi Sheng, Ph.D., (center) a postdoctoral associate in the University of Florida College of Medicine’s department of aging and geriatric research, talks about his poster presentation outlining some of his aging-related scientific work. 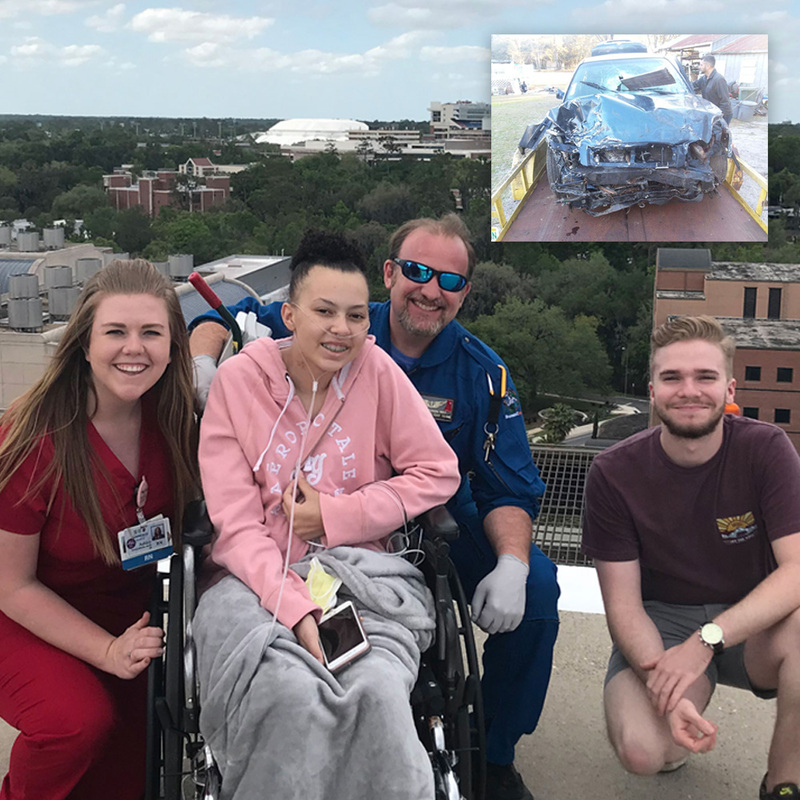 Sheng was one of several dozen participants in the UF Institute on Aging’s eight annual “Spotlight on Aging Research” event at the Clinical and Translational Research Building that included researchers from several UF colleges, including Medicine, Pharmacy and Engineering, among others. 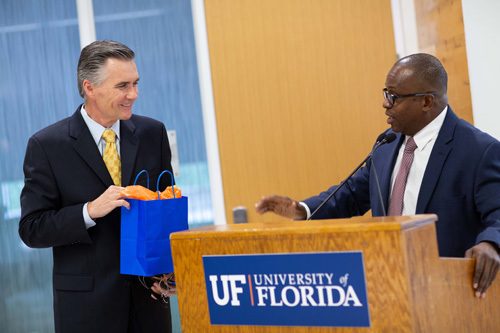 At a farewell dinner in his honor, Michael Good, M.D., left, the outgoing dean of the UF College of Medicine, accepts a bag of gifts and best wishes from Joseph A. Tyndall, M.D., M.P.H., the interim dean of the college. 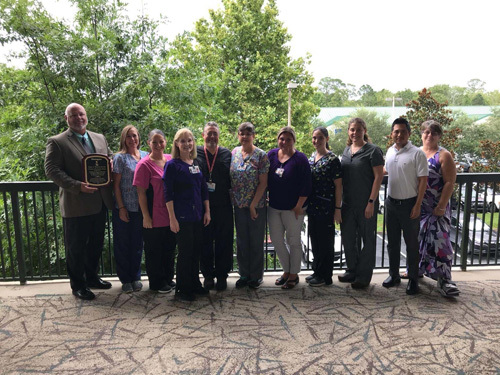 The UF Health Wound Care and Hyperbaric Center in Magnolia Park was awarded a Center of Distinction by Healogics™. The award is presented in recognition of excellent healing outcomes, high patient satisfaction rates and outstanding clinical performances.